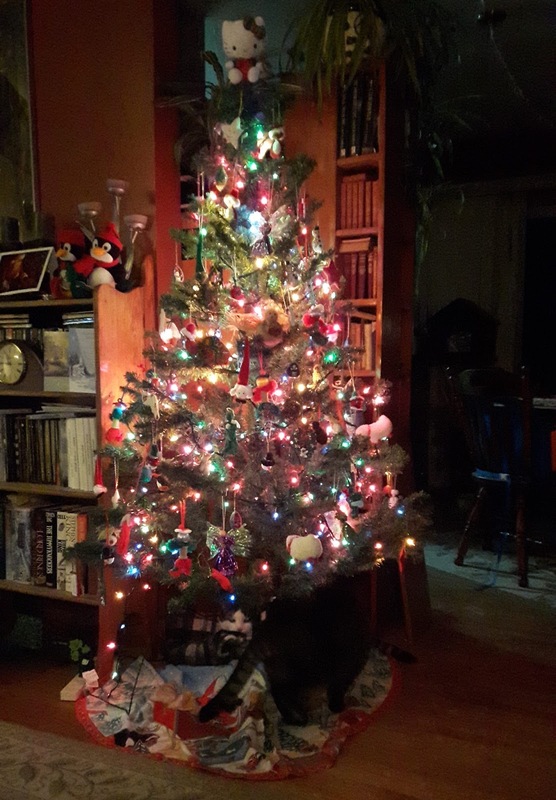 First, I thought I'd start with the traditional tree picture. Aside from the Hello Kitty on the top, the lights, and the two cats jockeying for space underneath it, all the ornaments are hand made. This was a tradition started many years ago by my daughter and I - we'd make a new craft each year and sometimes we'd even make enough to give to friends.